Authorised wholesalers of S.kumars,Mafatlal ,Valji Mill fabrics etc. Engaged in Manufacturing, Trading, Exporting Quality range of Uniforms, Hotel and Corporate Uniforms,offered fabrics are appreciated for optimum softness and superior finish. We are the authorised Wholesaler & Distributor of S Kumars Fabric, Valji Mill Fabric, Mafatlal Mill Fabric, Reid & Tailor Mill Fabric & Sangam Mill Fabric. In order to meet the diverse requirements of our valuable clients, we are engaged in manufacturing, trading, exporting and supplying premium quality gamut of School Uniform Garment, Corporate Uniform Garment, School Uniform, Designer Wear Fabric, Army Uniform Fabric, Police Uniform Fabric, Military Uniform Fabric, etc. 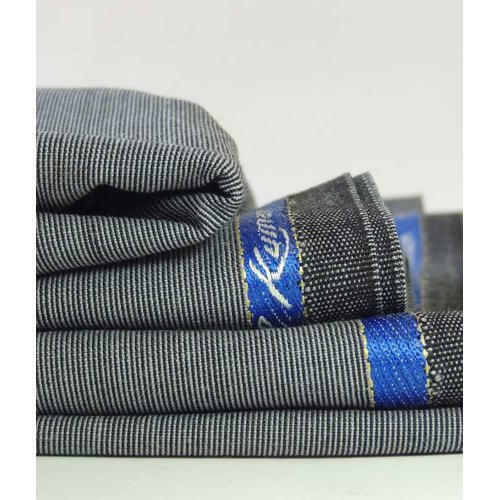 These fabrics are designed and crafted by utilizing the premium quality thread and yarns and latest technology in compliance with the set international quality norms. Our valuable clients can avail these fabrics from us in various designs, sizes and colors at market leading prices.